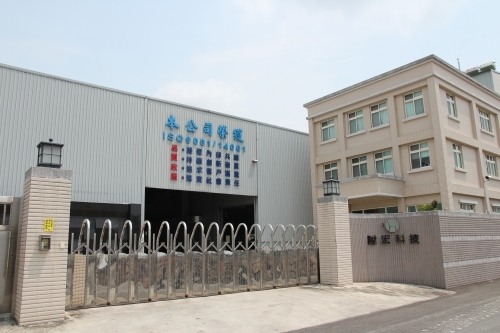 Sheng Hong Yan Technology Co., Ltd. set up in 2011 in Changhua and has started manufacturing since 2014. Primarily focus on multi-functional chair manufacturing and R&D. Product marketing includes furniture, elder people, exercise, rehabilitation exercise, etc. 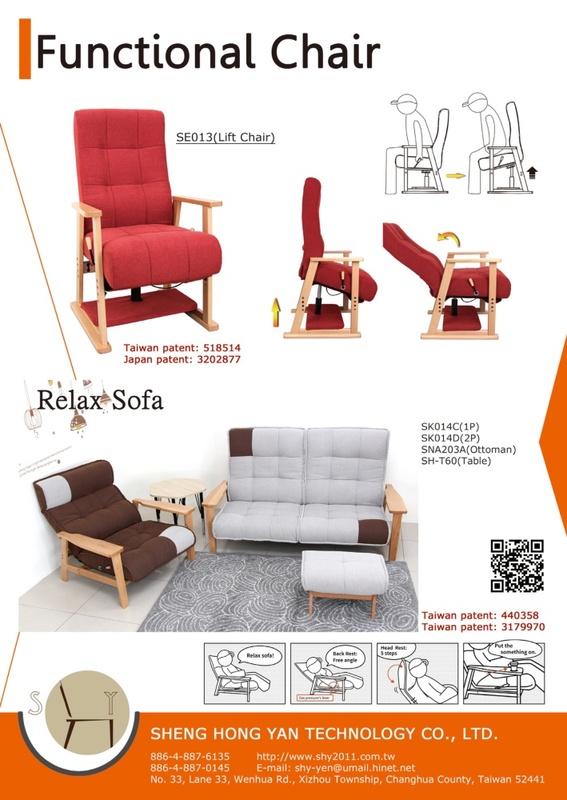 Primarily products: Multi-functional sofa, Lift chair, Sports chair, Rehabilitation chair, Japanese-style chair, etc. The part of R&D: Have excellent team to develop products for the needs of different markets. Consider the volatile consumer market, we use modular design to increase the diversity of product function, appearance, and standard. The part of manufacture: Have complete product line, such as, from the internal structure of product, external sewing cloth to packing. Consistent production process can satisfy volume orders and receive small order of product design. Quality management: We get certification of ISO9001 and ISO14001. Quality policy: Consolidate internal consensus, continue to innovate in R&D, pursue customer satisfaction, and implement social responsibility.